The Spectrum is designed for sports bike riders who want a slim-fitting leather jacket that feels like a second skin. It features integral racing sleeves with high tenacity bi-stretch materials, offering unparalleled comfort and mobility. 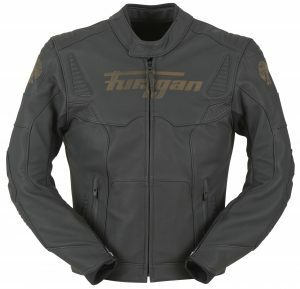 The jacket has a Furygan Skin Protect lining – approved by Furygan’s R&D (Motion Lab) to reinforce the leather in terms of tearing resistance – as well as triple stitching and CE- approved D3O armour in the shoulders and elbows. There is also a back protector pocket compatible with the “Central Back” type level 1 and “Full Back” type level 2 D3O back protectors, available as an added option. There is a removable thermal padded vest lining, protecting the chest against the cold without restricting movement in the arms. The jacket has two connecting zips (one short and one full) mounted on an elastic belt, three pockets (one inside and two outside) and Neoprene inserts on collar and the wrists. The Spectrum is available in four colours options – black/white, black/fluo yellow, black/fluo green and black/red – in sizes S-3XL with an RRP of £369.99. The Sherman is emblematic of Furygan style and quality, crafted using brand-new leather working techniques. 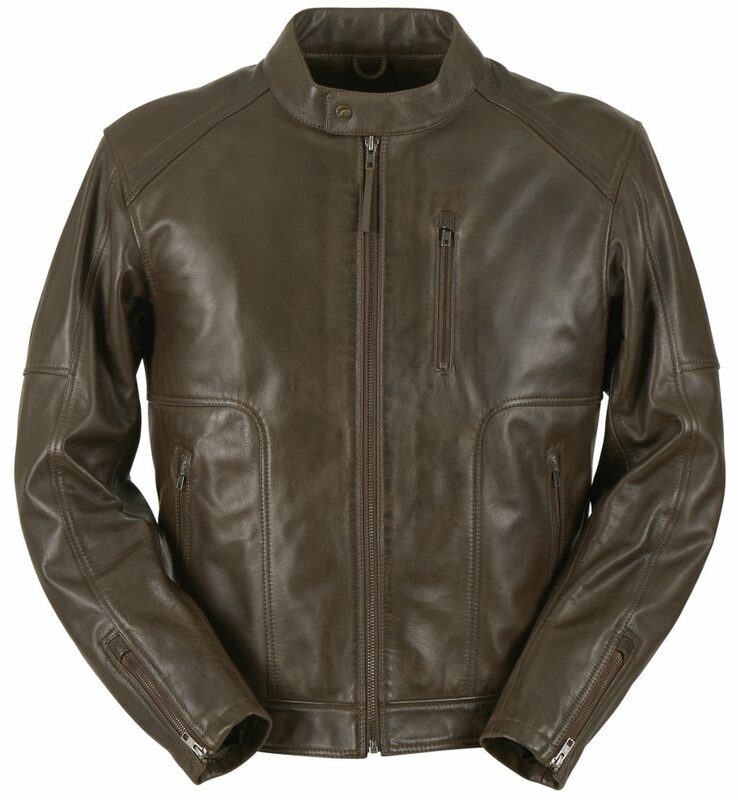 The matt black, premium cow leather jacket features subtle branding detail in a dark brown rustic effect, giving it a sporty yet classic look. The jacket has a Furygan Skin Protect lining, triple stitching in areas exposed to abrasion, leather and foam reinforcements on the elbows, CE-approved D3O armour in the shoulders and elbows and a back protector pocket compatible with the “Central Back” type level 1 and “Full Back” type level 2 D3O back protectors (available as an added option). There is a removable, thermal padded vest lining with aluminium inserts for maximum protection against the cold on the chest without restricting movement in the arms. The internal Coolon lining is designed to maximise breathability, moisture absorption and comfort. Leather stretch above the elbows and shoulders and high tenacity bi-stretch inserts at armpits allow increased range of movement. There are two connecting zips (one short and one full), two pockets (one inside and one outside) and adjusters at the waist. The Sherman is available in black in sizes S-3XL with an RRP of £399.99. The Bronson is made from super soft, dark brown, premium cow leather with subtle Furygan branding, top stitching and a khaki liner, giving it a stylish, timeless look. 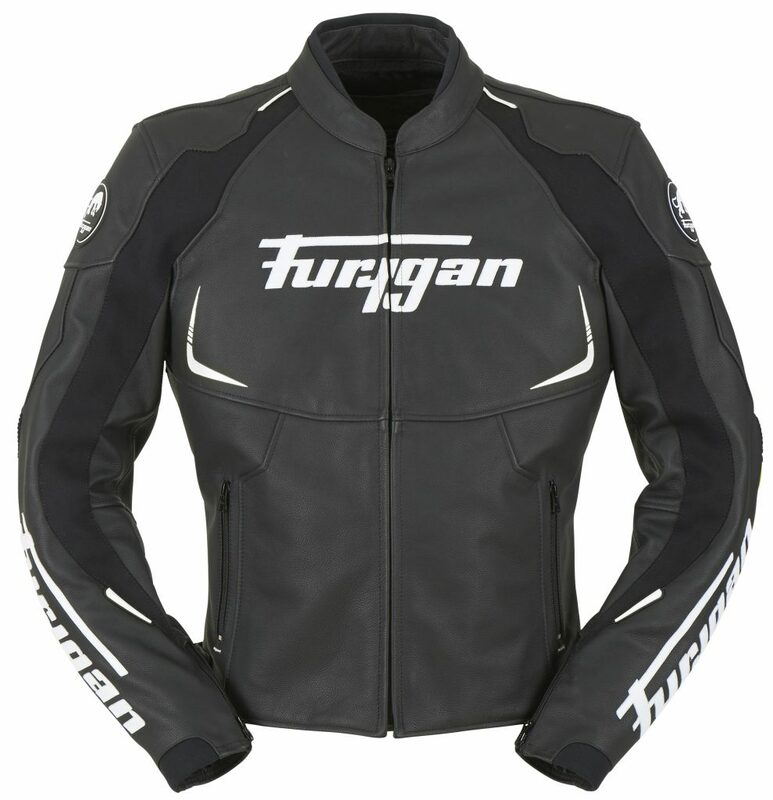 It’s a jacket that can be worn comfortably both on and off the bike. There is a removable thermal padded lining for protection against the cold, five pockets (four outside and two inside), leather stretch behind the shoulders and adjusters at the waist. 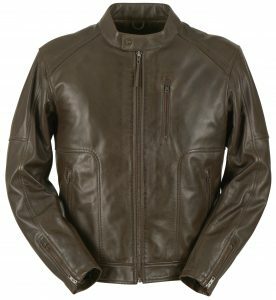 The Bronson is available in brown in sizes S-4XL with an RRP of £369.99.